Let's be honest. Americans are not known for their financial literacy. According to the latest data from 2016 from the U.S. Bureau of Economic Analysis, the personal saving rate in the United States is 5.7%. This means that out of every $100 in after-tax income Americans bring in, approximately $5.70 is being saved for things like retirement, emergency expenses, and rainy-day savings. This is why I find it important to teach financial literacy early, starting with tween and teen years. 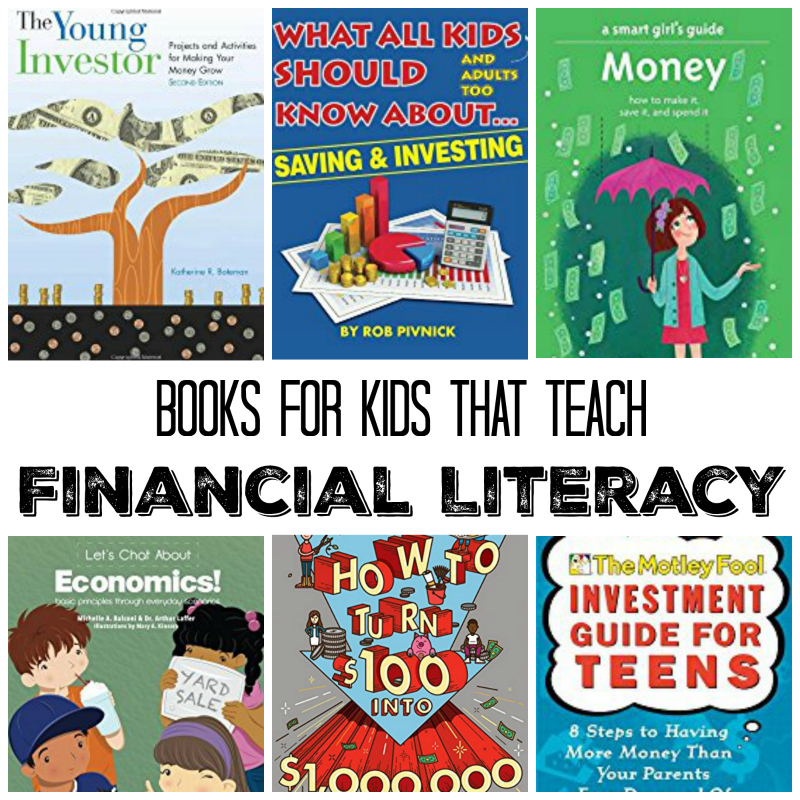 In this post I will share books that might inspire your kids (and possibly you) to make wise choices when it comes to money. Disclosure: I am an Amazon affiliate and this post contains Amazon affiliate links. For full disclosure, please click here and thank you for supporting my blog! Personally, I was always a saver. Since the beginning of my working career, I was making a budget with the goal of saving 10+% of my income every month. I also had a good luck of marrying a saver, and I am hoping to raise a financially literate person who understands the value of saving. This is why I was excited that our local organization for gifted kids was offering a financial literacy seminar. It only covered basics of budgeting and financial planning, but Smarty came back with a lot of questions about saving and investing. Of course, I started to look for books to help her explore this interest further. I found all the books I mention here in our local library. Frankly, I was "underwhelmed" with some of them, but a couple were very good. I will save you some time and review all of them here. Let's Chat About Economics! has a recommended age range on Amazon from 6 to 12 years old. Well, it's certainly more a book for young elementary (6-7) then for tweens. 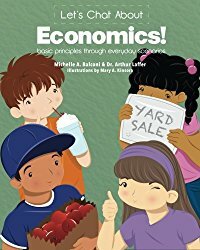 Basically, simple economic concepts and terms are introduced through familiar scenarios of getting an allowance, organizing yard sale, etc. Overall, I felt that the book is not bad, but it was too young for my 10 year old, especially since it's a picture book. Smarty loves American Girl guide books, and A Smarty Girl's Guide to Money was not an exception. In fact, boys could really use information in this book as well. The book covers a lot of ground - from finding a job to starting a business to saving. I am usually skeptical about "start a business" advice, but this book has some suggestions that seem quite doable, especially for crafty kids. 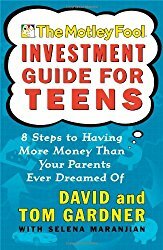 I wanted to like Investment Guide for Teens by The Motley Fool founders, but I just could not. Perhaps, I just happened to have the older edition of the book, but it refers to an average return of the US stock market as 10%, which is not current data and does not include years of the latest bear market of 2008. I also feel that these guys are too much in favor of stock picking, which is not a solid long term financial strategy. So, after looking through the book, I decided not to give it to Smarty. Overall I liked The Young Investor book, but it had some of the same problems that Motley Fool book - some information seemed out of date, and the tone of the book was a little too... academic. I actually stopped reading in the middle when the book was trying to explain how to read stock information in the newspaper. Really? Newspaper??? Drum roll, please! I found How to Turn 100 into 1,000,000 the best source for answering Smarty's questions in both entertaining and informative way. The book is well designed in terms of fonts and colors and appealing to younger readers. 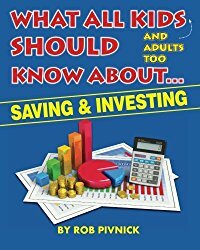 It's also rather comprehensive - covering making money, budgeting, saving, and various investment methods. This is the book that I handed over to Smarty and I enjoy hearing her ideas about what her first job might look like (she wants to tutor kids in math). 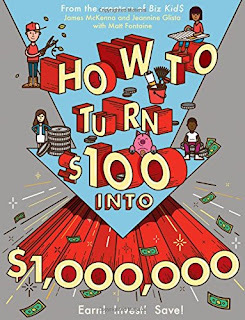 I would definitely recommend this book to kids age 10+, in fact, I hope that financial literacy will be a required subject in high schools one day soon! Do you consider yourself financially literate? 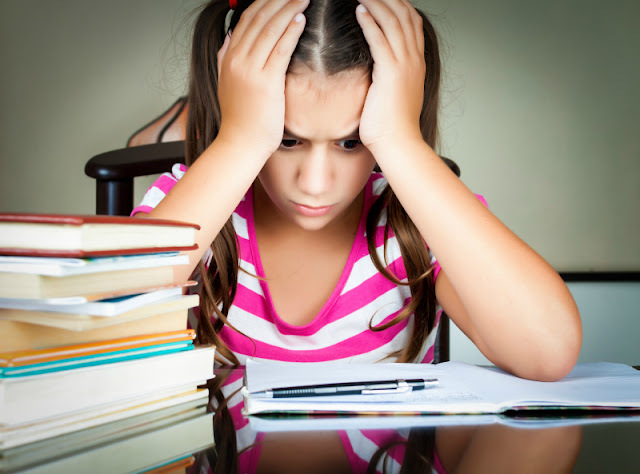 Do you teach kids foundations of financial literacy? I was raised to simply not spend money, which is a form of very basic financial literacy. The rest I've learned on my own since leaving home - including basics like how credit cards work. I am glad you wrote up this post; looks like some great books. K read the Smart Girls Guide to Money and enjoyed it. She definitely understands the value of money, much more than I did as a kid. She is also a saver. If she buys something, she thinks along the lines of investment (will it appreciate in value in the future?) which makes me think she will be very money savvy in the future. I will check out the other books you've recommended. 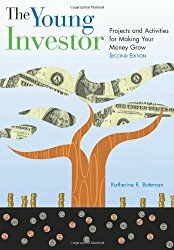 I liked this book where I learned about passive income - https://www.amazon.com/Rich-Dads-Kid-Smart-Financial/dp/1491517883. Jeff and I took a class on money management early in our marriage, and it's been really helpful for us overall. We've done some money talks with the kids, but haven't really gotten into stock market much.